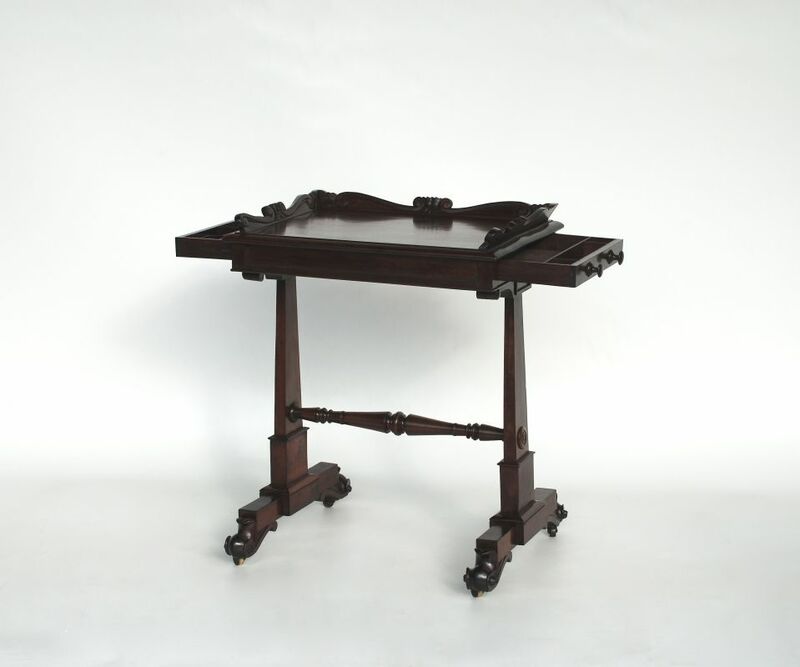 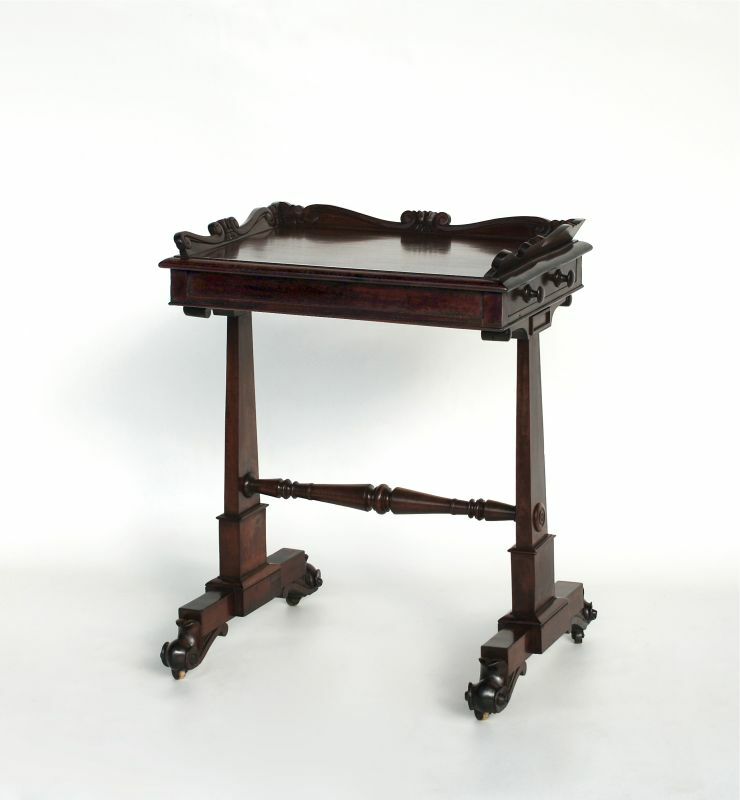 This is a mahogany work table, made in about 1830, George IV in period. 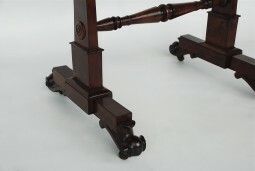 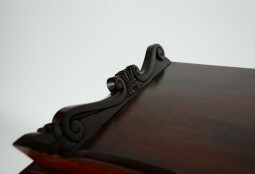 Beautifully proportioned piece of furniture with tapering obelisk supports. 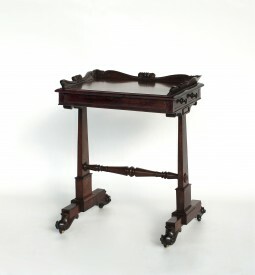 A drawer on either side, one for writing paper and pens and the other for needles and threads. 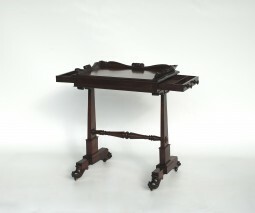 The measurements are 61 cm wide, 44 cm deep and 76 cm high.